Saturday, November 25 8:30 a.m. The United States Congress designated the Cheaha Wilderness in 1983 and it now has a total of 7,400 acres. All of this wilderness is located in Alabama and is managed by the Forest Service. 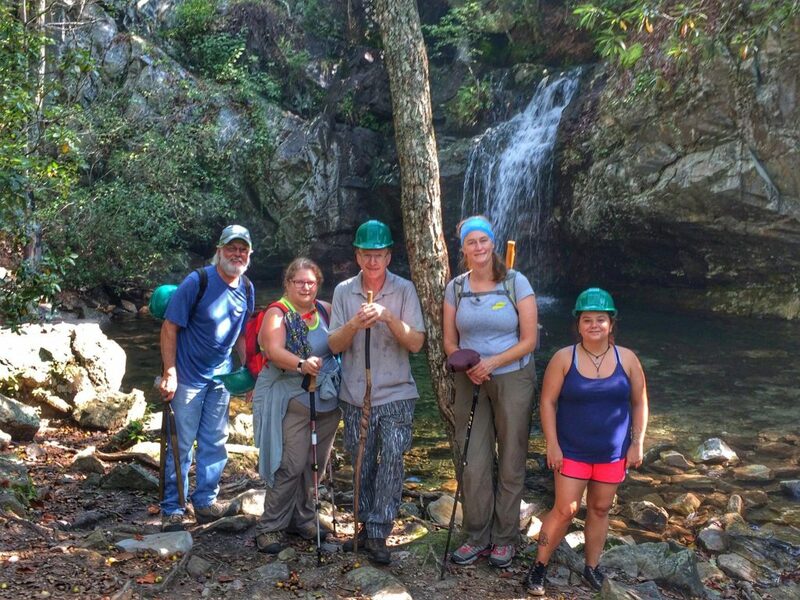 Under a partnership with the Forest Service, Wild South has the permission to plan and implement trail maintenance in the Cheaha Wilderness. Our work is supported by a grant through the National Forest Foundation. The Odum Scout trail runs from High Falls at the south end of the Wilderness for 4 miles to its terminus at the junction of the Pinhoti and Chinnabee Silent trails. Odum Scout trail is known for it’s beautiful ridge top views along Cedar Mountain and Big Caney Head. It also sees very little traffic which adds to the allure of wilderness solitude. The downside of less foot traffic is that the trail becomes overgrown easily. Currently there are sections along the ridge top that are completely overgrown making foot traffic nearly impossible if not very difficult. The trail has completely disappeared in some spots. Wild South is adopting this trail to remove the brush that has overtaken it. We envision this project lasting over the fall, winter and early spring of 2017-2018. We will have official trail maintenance days on the last or second to last Saturdays of every month through spring. In addition, any weekday warriors that want to get involved can work out a special project through Kim Waites, Alabama Wilderness Volunteer Coordinator. There will be an approach on every work day, varying in length depending on where we left off the last time. On November 25, we will have approx. a 2 mile approach to the beginning of maintenance and then the hike out from where we leave off. Necessary hand tools for brushing. Wear long pants, closed toe shoes. If you have rough work pants like Carharts or Dickies, you will be glad you wore them. Jeans can work as well. Bring plenty of water, at least two liters. There are no water sources along the ridge. Wear sunscreen and bring extra. Some sections have more exposure than others. Wear bug spray or treat clothing. Please, no dogs or small children on our work days. Meet at the Cheaha State Park store at 8:30 a.m. From there we will caravan to the High Falls trailhead.